I have an innate bias against rock reunions, a disposition that seems to be tested daily. I might sympathize with bands who never got their due during their artistic peaks, but I can't help but assume that reunions are generally cash grabs and ego boosts precipitated by little more than nostalgia and opportunity. There are exceptions, though, and LA's Redd Kross are among them. Of course, I can't pretend to know the true motivations behind them re-forming in 2007—nor for any reunited band—but the record they made then, which was finally released last year by Merge Records, sounds as good and catchy as anything they ever did. Formed as Red Cross in 1980 by brothers Steven and Jeff McDonald—two years earlier they had a band called the Tourists—the group arrived as a humorous, trashy alternative to the burgeoning LA punk scene, openly embracing pop culture and bubblegum melodies even if they didn't quite have the chops to pull it off. They endured and improved as musicians and went on to champion glammy 70s rock during the 80s. They made five albums of original music between 1982 and 1997, when they threw in the towel amid increasing commercial indifference. Naturally, I was skeptical about them resurfacing and it took me a while to listen to their comeback Researching the Blues—and when I finally did it left me cold. But a couple more spins proved ingratiating and every subsequent listen seems to happen in a flash. Some of the hard rock crunch is dumb in a classic rock way, but the McDonalds have a way with melody, and their tunes have lodged themselves into my brain. 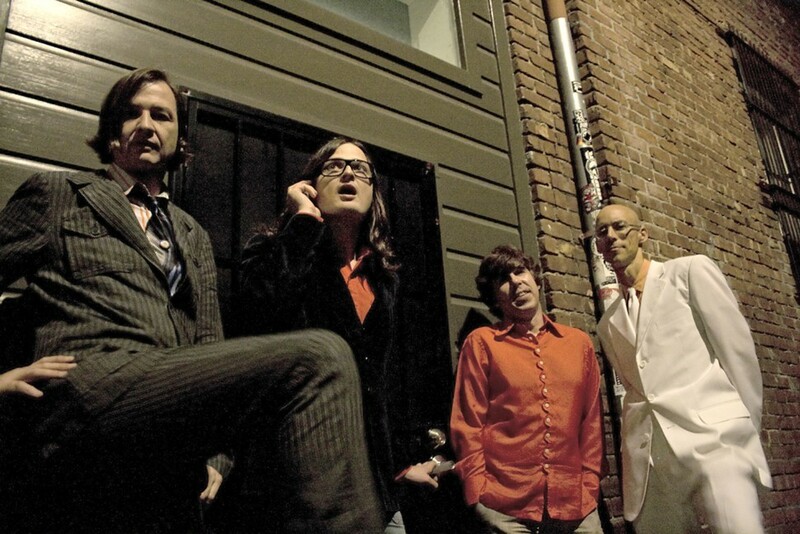 The sound of Cheap Trick, the Beatles, and Raspberries weigh heavy on these songs—just as they did on Redd Kross' old songs. Reprising a visit to the Empty Bottle last May for the HoZac Blackout, Redd Kross return to the club this Saturday. Below you can hear the title track from last year's album. Redd Kross, "Researching the Blues"